PayDayHawaii can help you pay your bills on time, and we make it fast, easy, and secure. When it comes to sending your bill payments, we’ve got you covered. With Western Union, you can send bill payments right away from any PayDayHawaii office. 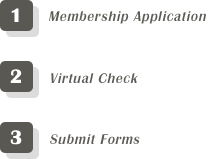 With thousands of available billers, payments are sent quickly and reliably. We take Hawaiian Electric, Maui Electric and Hawaii Electric Light payments; you can also pay your mortgage, your auto loans, your credit cards, and more. 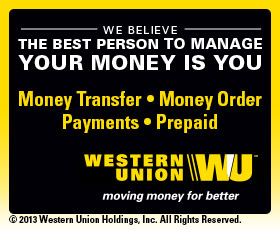 Western Union® service is available at all PayDayHawaii locations, and (COMING SOON!) online.Please visit our locations. Do you need to pay your monthly Mobi PCS or other cell phone bill? You can also pay your TimeWarner Oceanic cable TV bill, your Hawaiian Telcom bill, and your satellite TV bill at your PayDayHawaii office. You don't need a checking account - just stop by one of our convenient locations, and remove the hassle of checks and mail altogether. Avoid excessive late fees, and save time and money - make PayDayHawaii your bill pay headquarters. Now you can pay your bills at the same place you cash your checks. Make your finances just a little simpler with PayDayHawaii! Our friendly staff will send your bill payment on your behalf so you can get back to your life. No stamps required.